In Sonvir @ Somvir v The State Of NCT Of Delhi, the Supreme Court has held that a police officer need not obtain an order from a Magistrate for obtaining a specimen of fingerprints of the accused under Identification of Prisoners Act. It was also held that non-framing of any rules under Section 8 the Identification of Prisoners Act by the state government does not prohibit the exercise of these powers. 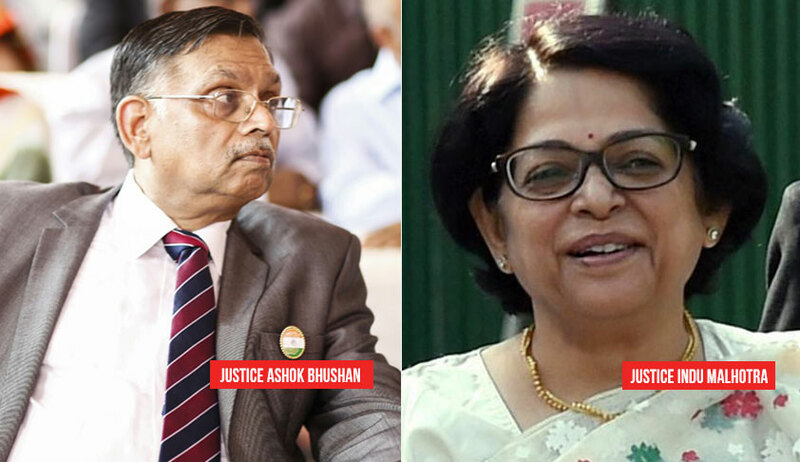 A bench of Justice Ashok Bhushan and Justice Indu Malhotra considered an important issue pertaining to the interpretation of Sections 4 and 5 of the Identification of Prisoners Act in an appeal filed by a murder convict. Justice Indu Malhotra mostly dealt with factual aspects involved in the appeal and acquitted the accused holding that the prosecution has failed to make out the complete chain of circumstances to establish the guilt of the appellant beyond reasonable doubt. This issue regarding the power of investigating officer to take fingerprints of the accused was dealt in the judgment separately penned by Justice Ashok Bhushan. The full bench judgment of the Delhi High Court in Sapan Haldar & Another vs. State (2012) DLT 225 lays down that only when by way of rules or executive instruction the manner is prescribed to take the measurements then alone an IO under Section 4 of the 1920 Act can obtain the measurements. It would be eminently desirable as per the decision in Mohd. Aman and Anr. vs. State of Rajasthan (1997) 10 SCC 44 to follow the procedure ordained under Section 5 of 1920 Act. No rules having been framed in Delhi and procedure as prescribed under Section 5 of the 1920 Act having not been followed we would discard the evidence of the palm impression of Sonvir alias Somvir. The court said observations in Mohd. Aman’s case was in the facts of that case and cannot be read to mean that Police Officer cannot obtain fingerprints without obtaining an order from Magistrate under Section 5. The court referred to a three-judge bench judgment in Shankaria vs. State of Rajasthan wherein it was held that it was not necessary for the police officer to obtain an order from a magistrate for obtaining a specimen of fingerprints. Another issue propped up in the appeal was whether the power of the Police Officer under Section 4 cannot be exercised until the state makes rules under Section 8. The bench further observed that if the contention that in absence of rules framed under Section 8, no power can be exercised under Sections 3 and 4 is accepted, the provisions of Sections 3 and 4 shall become a dead letter.